Alpha Printing specializes in providing high quality printing services to our clients. Our services include printing of flyers, EDDM, direct mail, brochures, booklets, business forms, color copies, black & white copies, presentation folders, business cards, postcards, letterheads, wedding invitations, party invitations, announcements, labels, posters, rubber stamps, door hangers, magnetic signs, yard signs and more. 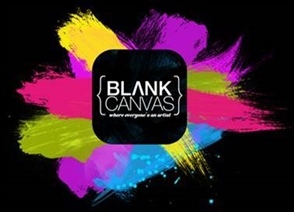 Blank Canvas is a mobile painting party experience. You choose the painting, the friends and the location and all the painting supplies and step by step instruction are provided for you to paint your own masterpiece. Anniversaries, a night out with friends, kid’s birthday parties, social club activities and team building events are our specialty. Connie has been painting most of her life and loves to see people light up when they experience the joy and excitement that art can bring. BCALLC provides affordable and reliable enterprise class computer IT support to small and medium sized businesses. Over 12 years of experience, Networking, Data Protection, Office365 Support, VOIP. We provide custom corporate and personal gifts for all occasions including thank you gifts for clients, employee appreciation, life events and more. We work with hotels, corporations, commercial and residential realtors, non-profit organizations and individuals. The Debbie Soden Team cares more about people than properties. Sit down with us and share your real estate goals. Together, we’ll find the home solution that’s just right for you. Are you buying a home? Selling a home? Either one ranks as one of the most stressful events of a person’s life! Because you don’t have time to stress, the Debbie Soden Team members do all we can to make the process as painless as possible. 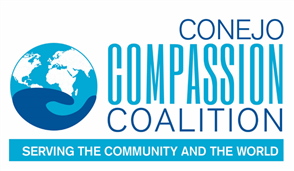 The Conejo Compassion Coalition is a 501(c)3 nonprofit corporation serving the poor and needy at home, and around the world. Our mission is to heal a broken world - one child, one family, one village at a time. Conejo Valley Lifestyle Magazine is a community focused magazine that covers families, schools, charities, businesses, activities and opportunities throughout the beautiful and friendly Conejo and Santa Rosa Valley. We cover the Conejo and Santa Rosa Valleys, Wood Ranch and Moorpark with 15,575 direct mailed premium magazines to affluent homeowners. Our website expands our reach to the entire community and beyond. Find out why real estate/business attorney Lee Wahl writes "David Massie knows more about commercial real estate leasing than any individual I have encountered in 25 years of practicing law in this area – including real estate lawyers, real estate brokers and property managers" and how this translates into DJM Commercial saving you money, time and headaches. Mr. Massie is a former pro beach volleyball player who has over 27 years of experience in commercial lease and buyer representation. He has completed over 600 lease transactions and numerous purchases and sales for clients in office, medical, dental, retail and industrial projects. For over 20 years, Elena Trevino Design has combined the art of creativity and the science of marketing to give clients in Ventura and Los Angeles counties the powerful edge they need. We practice the art of listening: As our client, you have a story to tell. Our job is to communicate your story visually. We measure success by how well we advance your marketing objectives. You mean business and so do we. Carol A. Salgado, a Real Estate Loan Officer with Logix Federal Credit Union, formerly Lockheed Federal Credit Union, has lived and worked in the Conejo Valley for the past 21 years. Carol has worked in the financial services industry in mortgage loan origination, branch management & marketing during her 35 year career, covering territories that have included the San Fernando Valley, LA’s Westside, the Conejo Valley & Santa Barbara/Central Coast.